P3 produces beautiful coffee-table books and high-quality marketing material including brochures and event flyers for a wide range of companies and financial institutions. Our clients include The Aberdeen Boat Club, Baker & McKenzie, The Peninsula Hotels, The Matilda Hospital, Jones Lang La Salle, Great Eagle Properties, to name a few. P3 also has its own Dragon series of coffee table books. This popular series explores the cultural and historical splendour of the Asia-Pacific region. 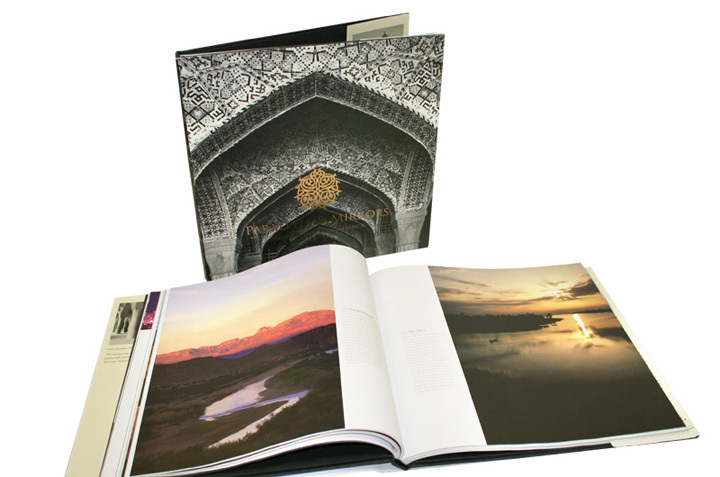 These titles are available with individually-designed dust jackets for the perfectly branded premium gift. 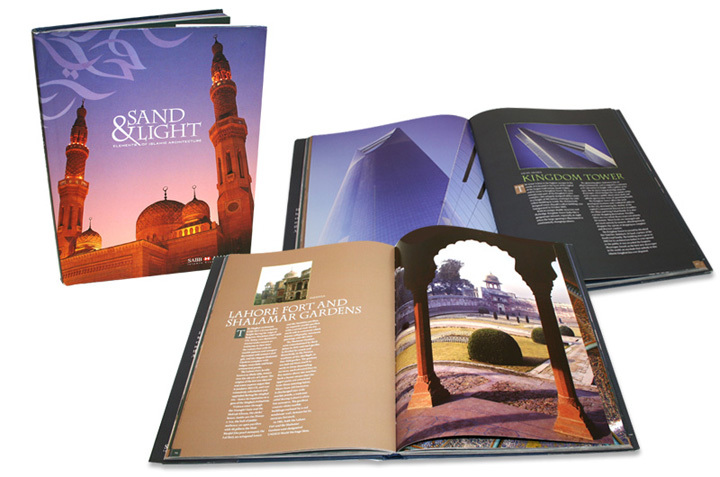 A commission from HSBC Amanah Banking to commemorate their 10th anniversary, this 180-page coffee-table book with a foreword by internationally-renowned architect Zaha Hadid, celebrates Islamic architecture in all its forms, from ancient times to the modern day. We bring our readers a behind-the-scenes look at the elegant and luxurious Jones Lang La Salle properties portfolio featuring some 40 key projects that offer breathtaking, panoramic views of Hong Kong’s skyline, the Kowloon peninsula and global developments. 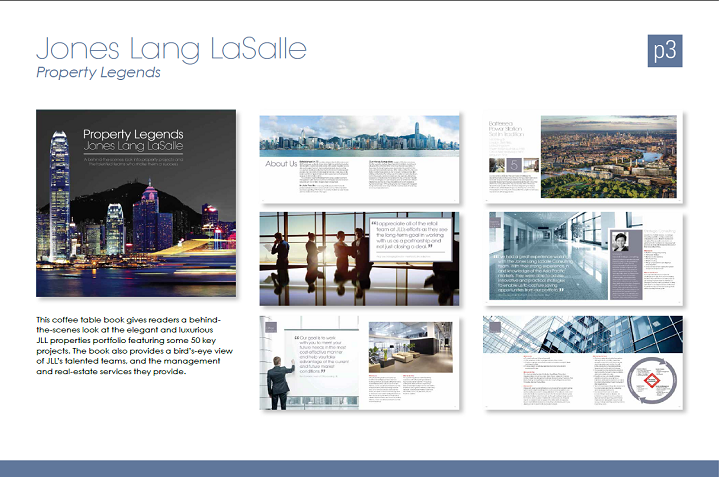 This book also provides a bird’s-eye view of Jones Lang La Salle’s talented teams, the management and real-estate services they provide, and extensive market research including first-hand testimonials from clients. 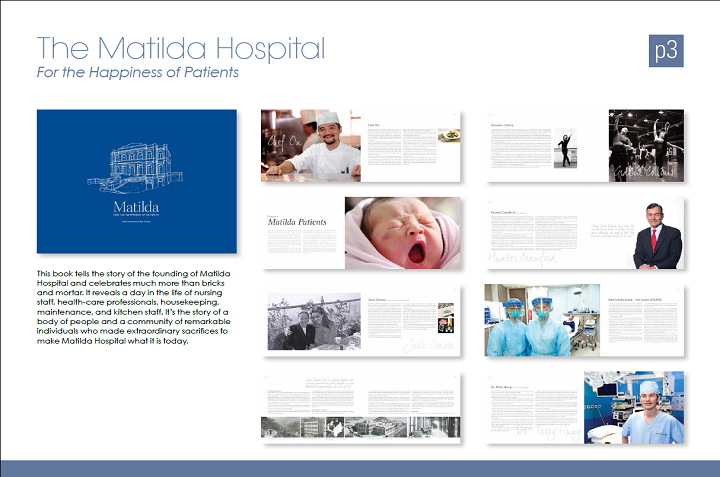 This book tells the story of the founding of Matilda Hospital and celebrates much more than bricks and mortar. It reveals a day in the life of nursing staff, health-care professionals, housekeeping, maintenance, and kitchen staff. It’s the story of a body of people and a community of remarkable individuals who made extraordinary sacrifices to make Matilda Hospital what it is today. Celebrating its 50th anniversary in Asia Pacific, the Baker & McKenzie Asia Pacific Cookbook is a compilation of the company’s partners’ local knowledge and culinary heritage through five decades of growth in Asia Pacific. 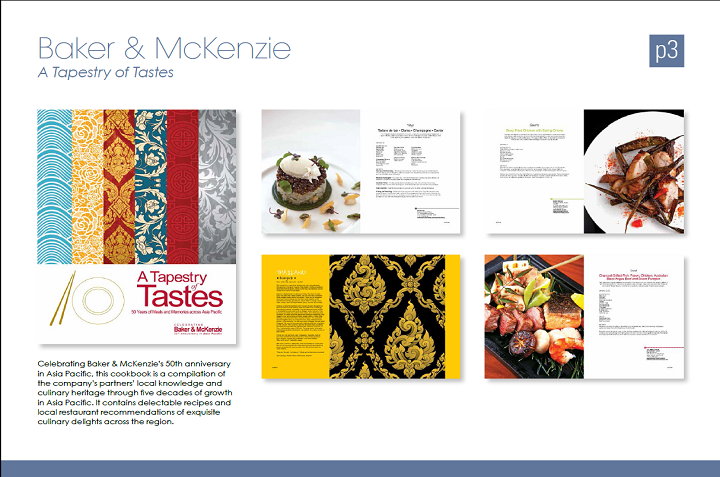 It contains delectable recipes and local restaurant recommendations of exquisite culinary delights across the region. 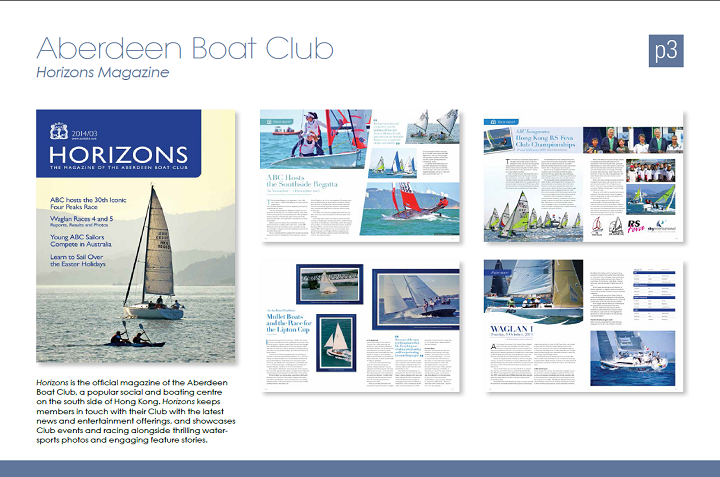 Horizons is the official magazine of the Aberdeen Boat Club (ABC), a popular social and boating centre on the south side of Hong Kong. Horizons keeps members in touch with their Club with the latest news and entertainment offerings, and showcases Club events and racing alongside thrilling water-sports photos and engaging feature stories. 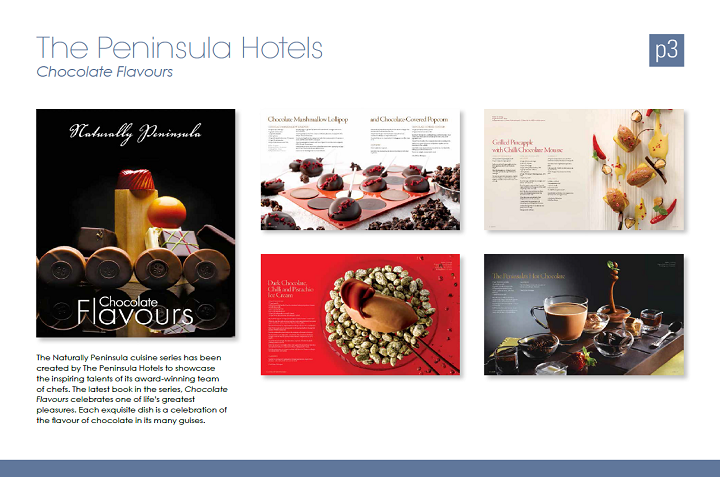 This cookbook Chocolate Flavours emerges from the kitchens of the nine Peninsula hotels worldwide and gives our readers the best of recipes from the Peninsula’s expert chef artisans. 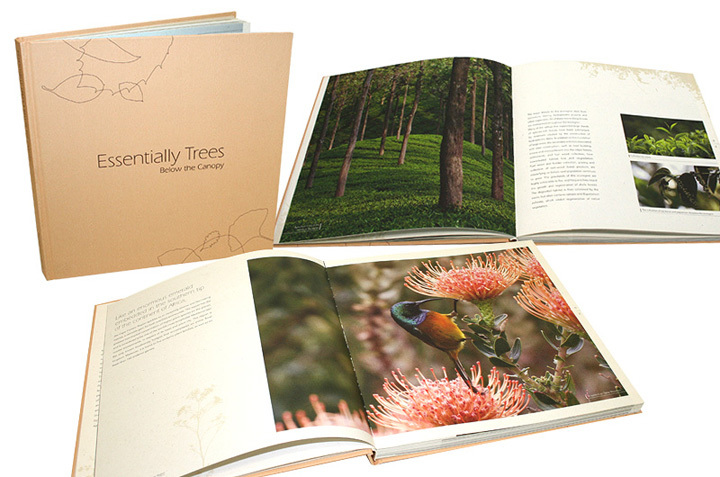 Printed on environmentally sound paper and using low solvent inks, this coffee-table book, produced exclusively for Standard Chartered, focuses on tree conservation issues and projects in Asia, Africa and the Middle East. 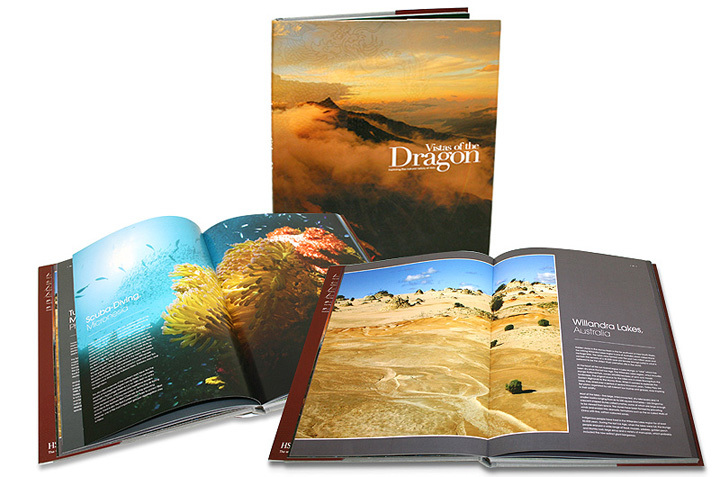 Produced for Dubai International Capital as a corporate gift to existing and potential clients, this book contains beautiful photographs of the natural and built environment. The book explores the surprising similarities between the Middle East and the Americas through fascinating research and clever use of photography. 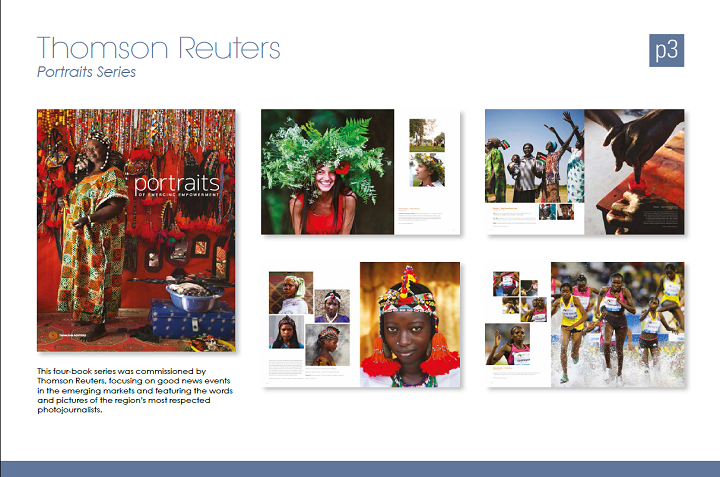 This four-book series was commissioned by Thomson Reuters, focusing on good news events in the emerging markets and featuring the words and pictures of the region’s most respected photojournalists. This history of the Hong Kong toy industry was commissioned by the Toys Manufacturers Association of Hong Kong. 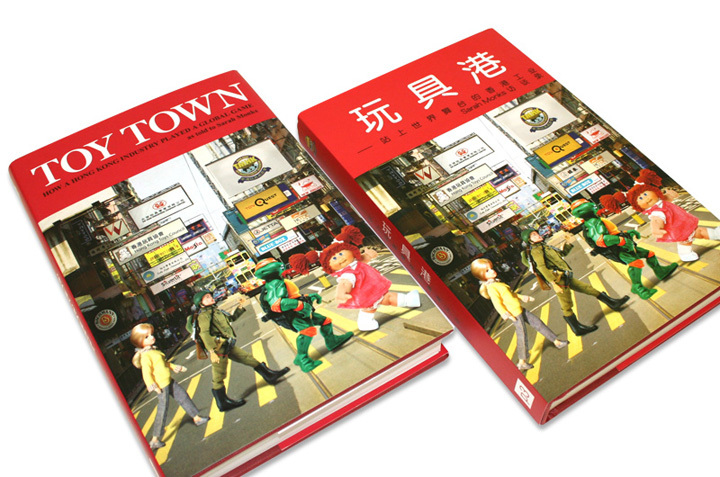 A two-year research and writing project, the book was produced in both English and Simplified Chinese.